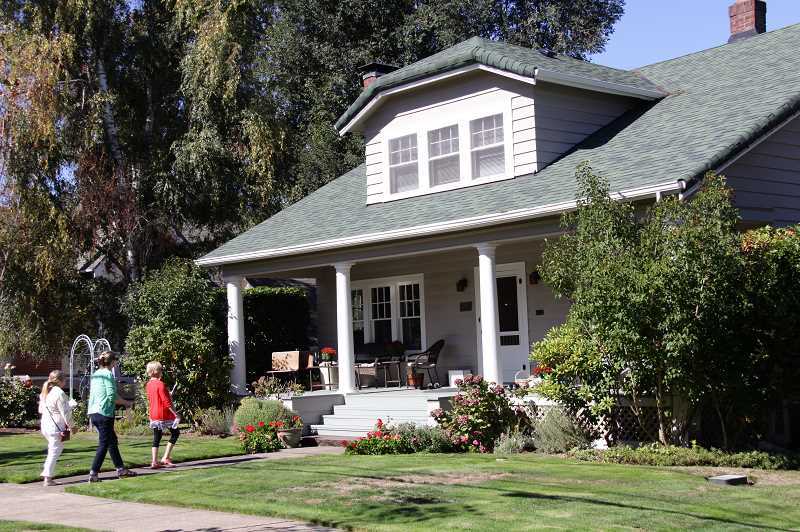 Friends of Historic Forest Grove to host historical home tour on Sunday, Sept. 23. This month, members of the Friends of Historic Forest Grove are headed back in time, even if it is just for an afternoon. The organization's historical home tour, "Windows to the Past," will explore several homes around town Sunday, Sept. 23. The tour is designed to celebrate the deep roots of Forest Grove's past, and its present. Each of the homes showcased on the tour has its own unique story, said Melody Haveluck, the chair of the historical home tour. More than 300 people are expected to attend the tour this year. "We put a lot of time, research and effort in making the home tour educational and to be a wonderful experience," Haveluck said. The self-guided tour will last from 1 p.m. to 5 p.m. Attendees will be given a booklet with a map indicating the locations and brief descriptions of the featured homes. At each location, visitors are invited to wander freely and ask volunteers questions while enjoying the detailed interiors and exteriors. "This is an opportunity to meet the home owners," Haveluck said. "These homeowners have a love for these homes. You walk in you feel that love." Mary Jo Morelli, the president of Friends of Historic Forest Grove, said many fill their homes with antiques and have taken time to restore homes to its original look. The homes have stood for generations, Haveluck said, giving visitors a sense of what Western Washington County was like over the last century. "[The tour] shows different architectural styles from the pioneer-era to modern day development," said Skip Buhler, a researcher with the group. "We also take the time to tell the history of the people that built the house. It gives the visitor context as to why they would've wanted to build their home that way." Friends of Historic Forest Grove formed in the late 1980s and organizes garden and cemetery tours on top of maintaining The Old Train Station on 19th Avenue. Many of the homes are kept secret until the day of the tour of to keep the mystery of the event alive, Haveluck said, though a few addresses have been released. One of the featured homes is the iconic Alvin T. Smith House on Elm Street. Built in 1854 by one of town's first pioneers, the home is the second oldest in the city. 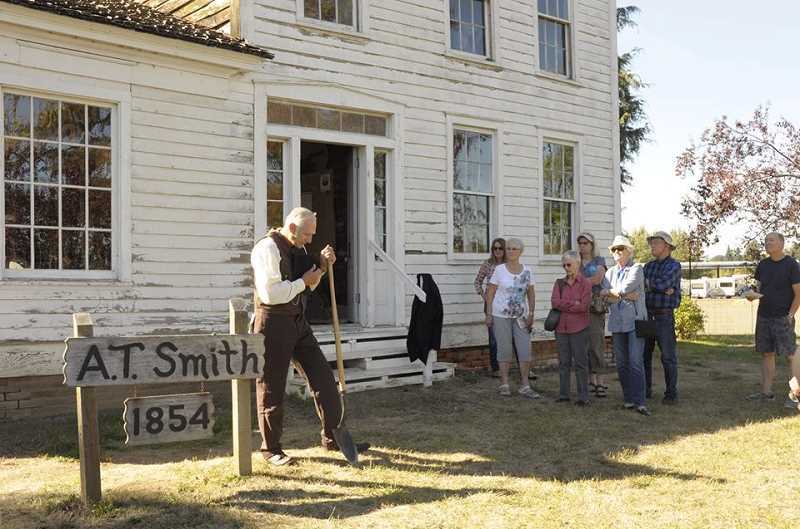 The Smith family traveled west in the mid-1800s and settled on 640 acres now known as modern day Forest Grove. Built in the Greek revival style, the house was impressive when it was first built because the surrounding area only had modest cabins, Buhler said. "People would come to see it like it was an attraction," he said. It later on became listed on the National Register of Historic Places in 1971. Friends of Historic Forest Grove purchased the home and plans to raise money to rehabilitate the home back to its original condition, Haveluck said. Making its debut to the historical home tour is Pacific University's own Knight Hall on College Way. The structure was originally built as home to Sidney Harper Marsh, the first president of Pacific University, but he died before its completion. Now, it serves as the university's admissions hall, and has garnered a reputation on campus for its rumored supernatural guest. Legends of Vera the Ghost have swirled on the campus for decades. Students and faculty have said they can occasionally hear singing throughout the halls of the former music building. The building has been written about in books about Oregon ghost stories. She said the group advocates on maintaining the integrity of the structures instead of tearing them down. "One of the reasons we chose to feature Knight Hall is because of sustainability," Haveluck said. "These homes can be used for more than just a residence, they could be used for businesses and more." Another featured home is the majestic Macrum House on 12th Avenue. 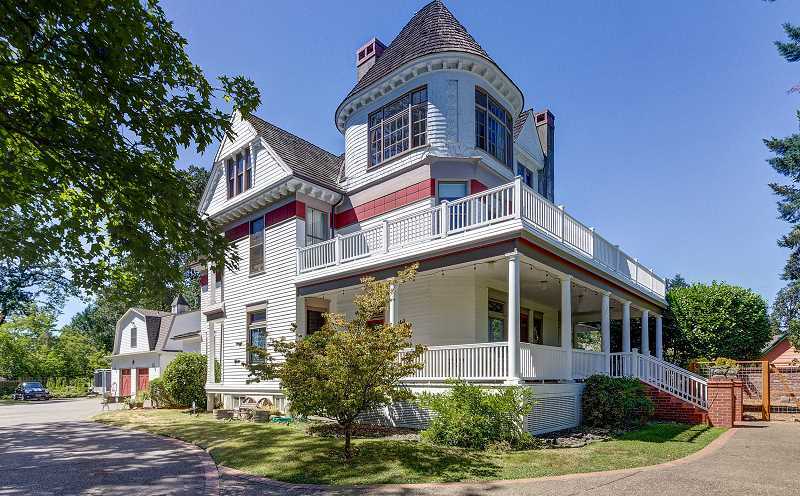 Built by a wealthy developer in Portland who moved to Forest Grove, the Queen Anne style home was finished in 1888. It was used as a hospital during World War I and a preschool named "The Castle School" in 1950. Tickets can be purchased for $12 at places like Lost Wax Records, Corner Antiques & Collectibles, A Framer's Touch, Cornelius and Forest Grove's Chamber of Commerce, as well as on the group's website.